Steps toward Korean reunification ? What is your Kakao ID? 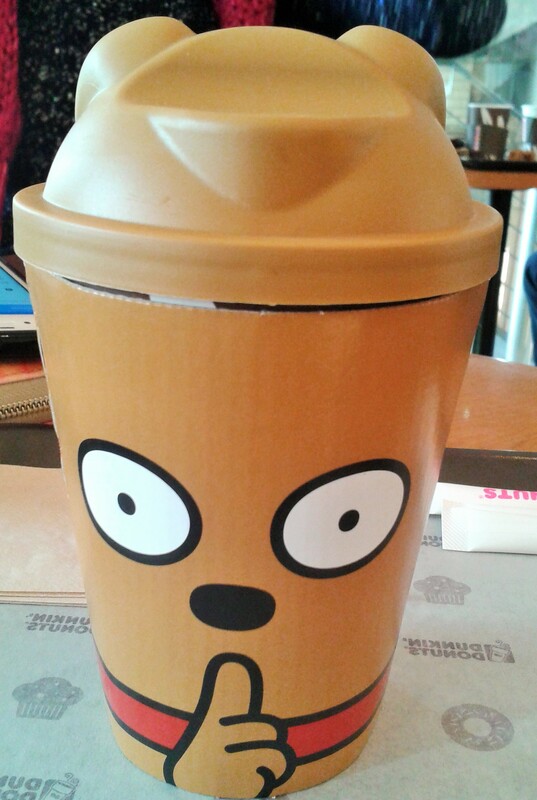 Wait, you don’t have a Kakao ID, and worth, you don’t even know what is it? 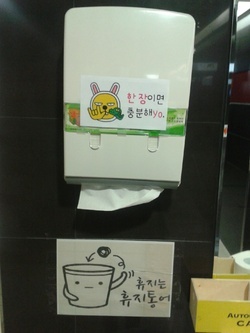 In order to solve this, I will explain you about that crazy Korean phenomena which is KakaoTalk. First, KakaoTalk is a free Korean application for smartphone, created on March 2010 allowing you to send free text and make free call all around the world. Currently, Kakaotalk has more than 140 million users in the world (the application is available in 15 languages), and especially in South Korea where it used by 93% of smartphone owners. So it’s totally huge and successful because more than the half of population use it : in Korea there are more than 53 million mobile phone users and 60% of Koreans have a smartphone. But KakaoTalk isn’t only a call and text app (app = application), you also can share photos, videos, voice messages, link, transform your voice thanks to voice filter, and play games with your contacts. Why KakaoTalk is so famous in Korea ? First, in my opinion (it’s just for me), KakaoTalk fame is due to its emoticons. Let me explain, KakaoTalk is a cute app, with cute backgrounds, but most of all, there are cute emoticons called “KakaoFriends”. 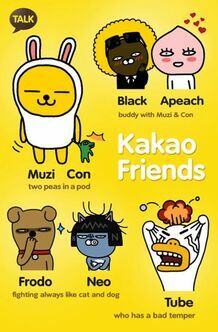 These emoticons are : Apeach the peach, Black the afro bear, Neo the cat, Muwi the rabbit, Con the crocodile (yes, the name of this one is quite funny for French people), Frodo the dog and Tube the duck. These seven little characters greatly participate to the fame of the app. You can find them everywhere: in advertisement, in school etc… (find a more detailed description below). How does KakaoTalk work ? KakaoTalk automatically synchronizes your contact list and you can search friends with their ID (Identity name on KakaoTalk). On KakaoTalk, you can have an unlimited number of contact and create or join group chat (also with a unlimited number of members). Once your contact added, you can use it, it’s very simple and intuitive. You have different pages : contact (you can see your friend pictures, videos, text or call him), chat, profile and Kakao online shop where you can buy new emoticons, themes, games... And after, the app works exactly like other texting and calling app or even like your text and call on your phone. KakaoTalk works on Wifi or 3G, 4G … Indeed you automatically need an internet connection. Moreover on KakaoTalk you don’t have to worry about your private life. 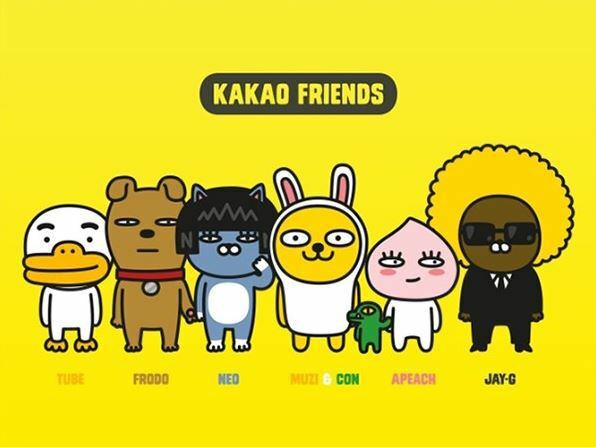 The private life security is one of the main argument of Kakao : a special function is dedicated to this, its name is “Secret Chat” and allow the protection of all your personal data and shares. After your first registration on your smartphone you also can download and install KakaoTalk on your computer and use it in your PC in the same way as in your smartphone. 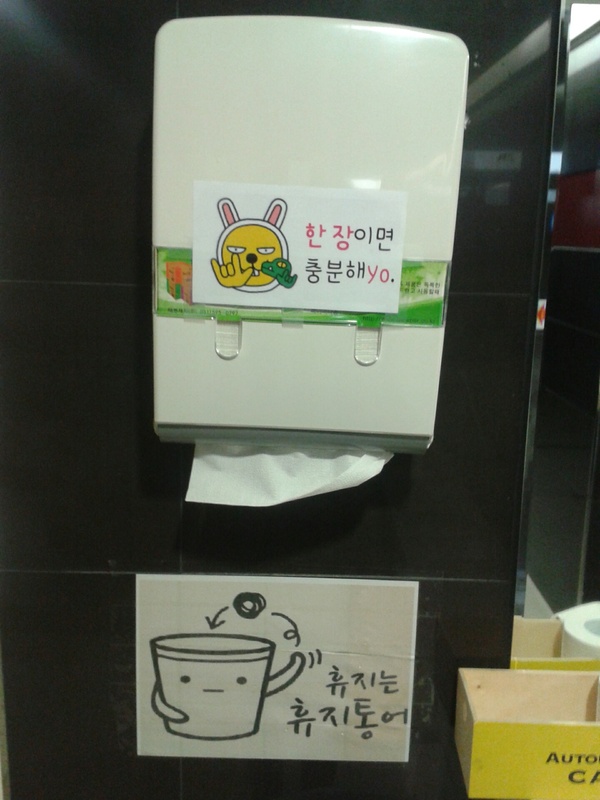 Kakao Company: a successful Korean company. Kakao Company main goal was first to propose a free and high quality messaging service in order to build and loyal and great user base. Thank to that it will be easier after some time to introduce monetizable services, because of the existing loyalty. 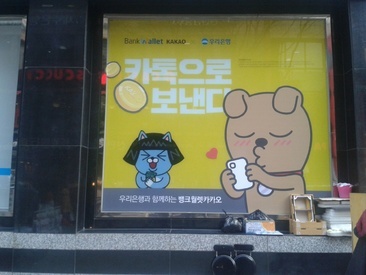 In 2012 KakaoTalk introduce its own virtual currency: the “Chocos”. 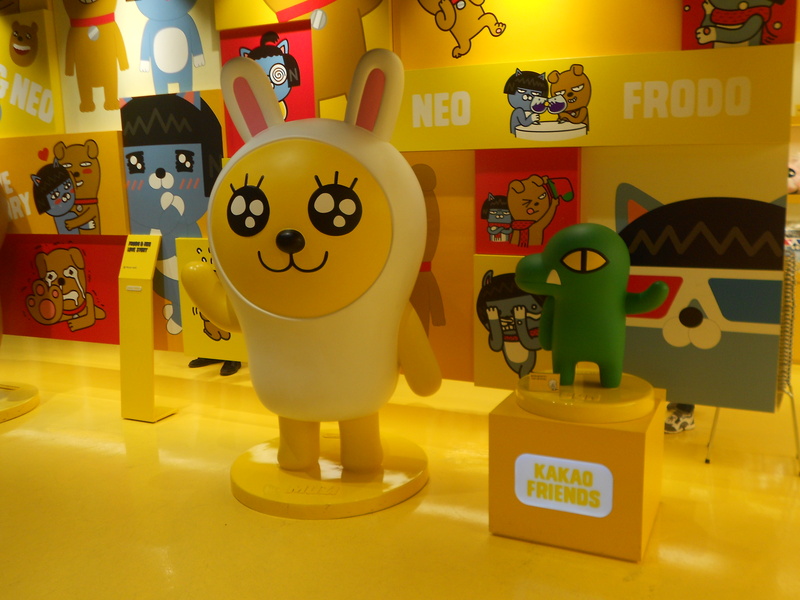 With these, user can buy themes, emoticons, games, songs… It worked because in in 2013 Kakao Corporation generated more than 200 million of dollars income with the app, games and with its marketing channel for celebrities and brands. 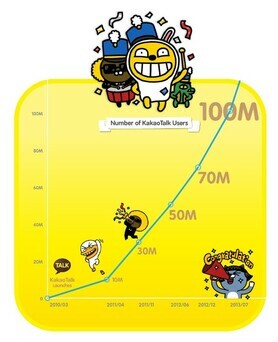 More than 5 billion messages are sent by KakaoTalk users every day which is quite huge and prove of KakaoTalk importance and efficiency. 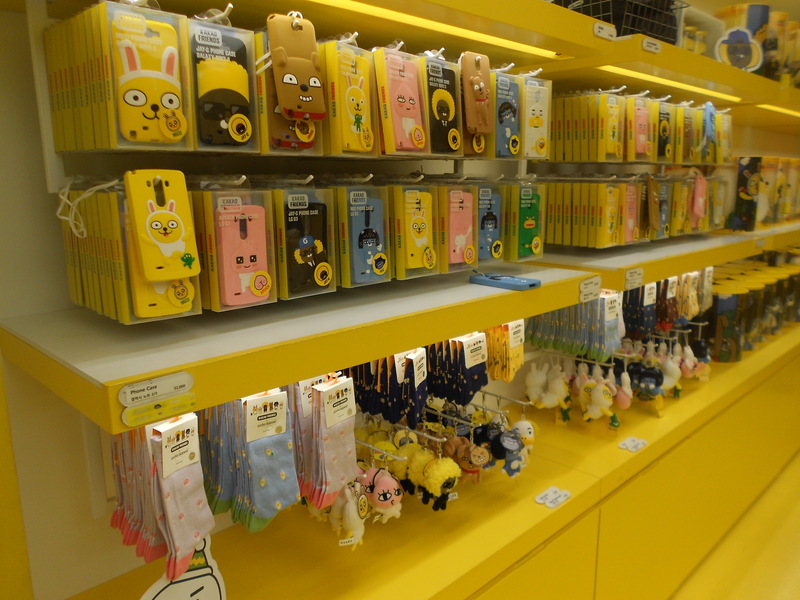 Like I tell you before KakaoTalk is really famous and present here in Korea, there is no day where you won’t hear a little “Kakao” (sound when you received a message) or see a KakaoFriend. 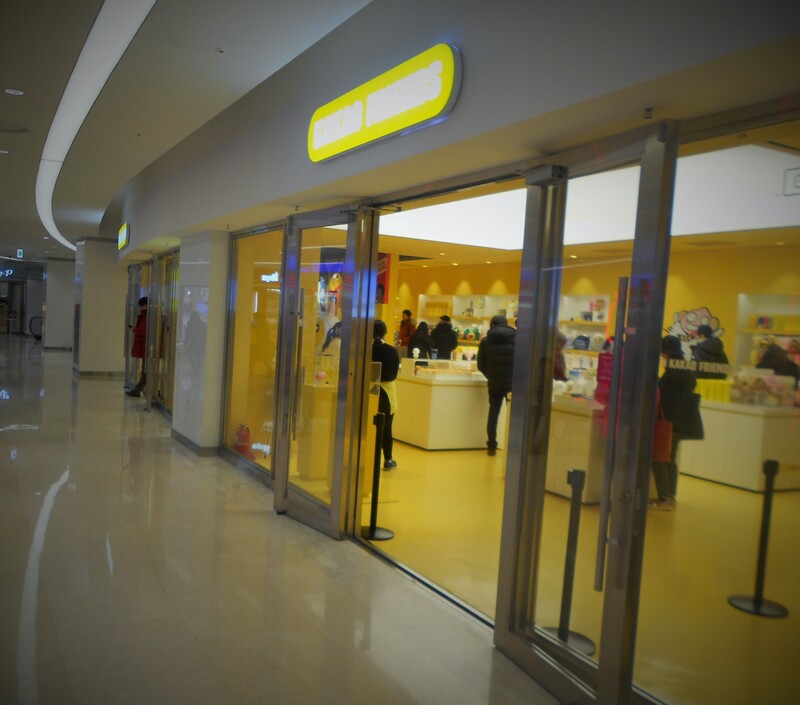 If you see KakaoTalk everywhere in Korea, it’s also thanks to the numerous and various by-products that you can find easily in cities. First you have all the posters and advertisement with KakaoFriends on it. You can find these last in School, Universities (there are many many in Hanyang University), shops, restaurants, stick on cars and almost in all public places. So, no day past without you see one KakaoFriend. Then you can find KakaoFriends in Supermarket or in shops, because there are lots of products which using their image, names or faces. 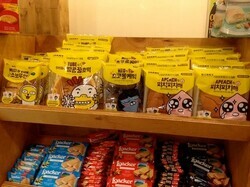 You can find a special KakaoTalk cakes or candies and so on. Some brands or company also make partnership with Kakao Company in order to use the image or make KakaoTalk events. Let me explain, for example I went to Dunkin Donuts, which is a coffee shop where you can drink cold or hot beverage and eat donuts or cakes. There I order a Hot Chocolate, and they served me it in a KakaoFriend Frodo cup. It was so funny and cute ! Moreover, you can find special KakaoTalk restaurants and café. 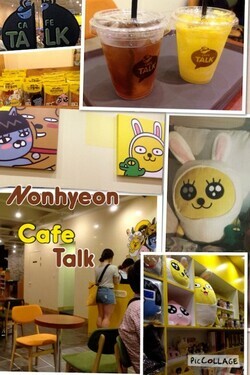 For example Café Talk is a café with KakaoTalk theme. 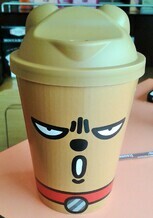 There everything is brown and yellow, you can order coffee with KakaoFriends images and even buy some by-products. Finally, the most important, there is a KakaoFriends Shop. There you can buy almost whatever you want bearing the effigy of KakaoFriends. Pens, cuddly toys, posters, stickers, smartphone case and so on. I went to this shop, and it was impressive ! 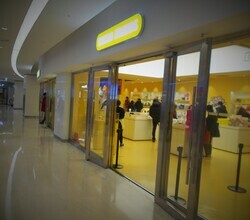 Great choice of items and lots of people coming for many part in Korea come especially for buy so items. It’s funny because it even possible to find “fake” KakaoFriends products. 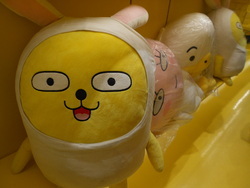 I am sorry for the soooooooo long Free Subject post, but KakaoTalk is a huge subject. Somenone can teach me korean? my ID : maryyy0 add me to talk about kdrama kpop etc. Hi im from Colombia (south América). Im 18 years old. I speak both english and spanish. I would love to meet people from other places specially korea and japan. Feel free to add me and talk to me. Have a good day friends. I'm Ninon, the blog "creator"! I find it super funny that my article became a KakaoID forum! If you met friends or even more here, please feel free to send me a message (on email or Kakao: 9Ninee) to tell me all that :) !! Hello add my Id:yummy43 please!